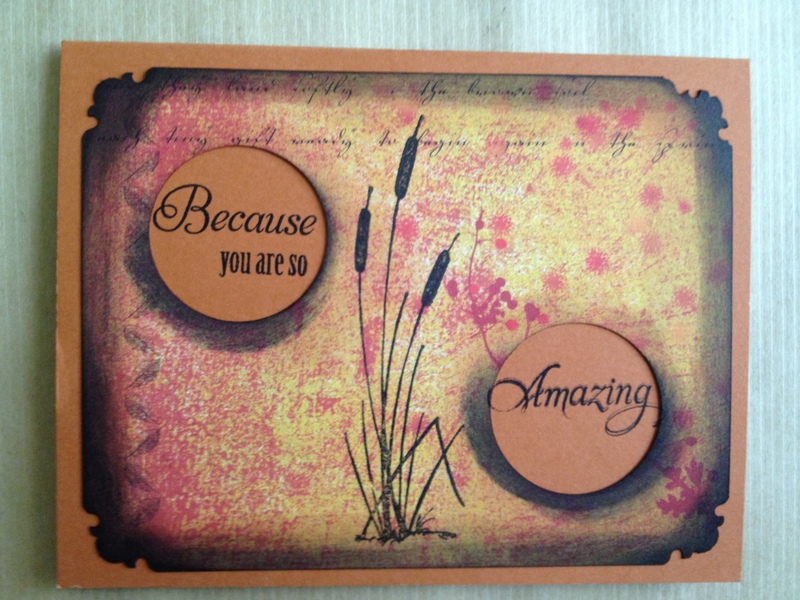 Two of our popular Make & Take cards featuring Stacy’s stamps! Sandy’s Booth Nov 14th card class. 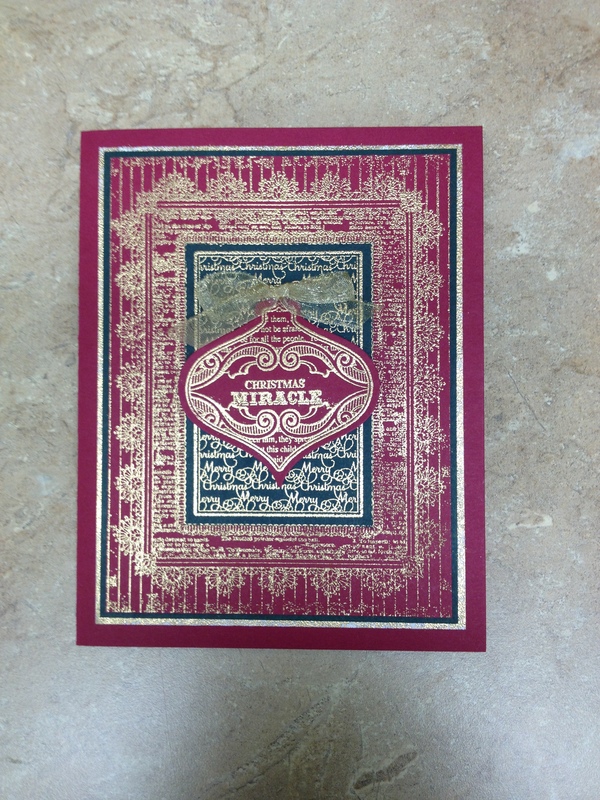 Thanks to all who took part in the recent Catalog sales! The Art Impressions and Just Right orders are in. 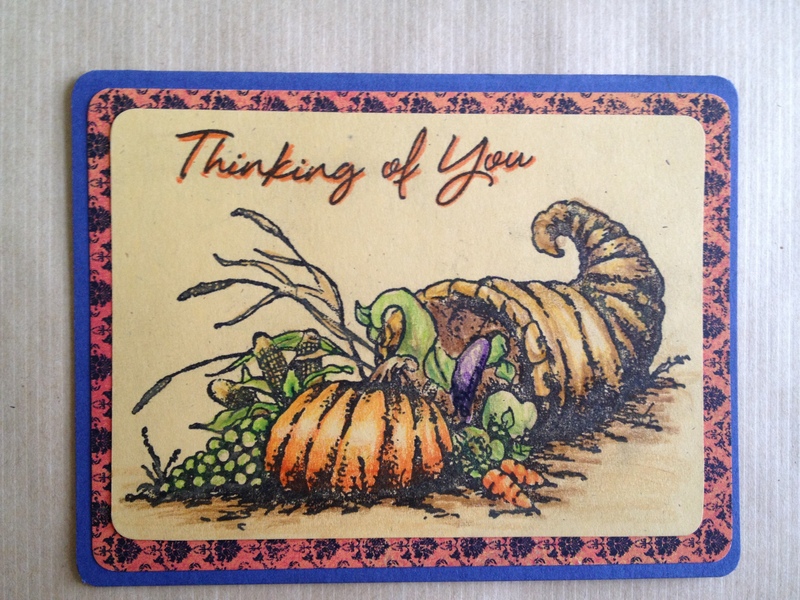 The Stampendous is still not here! I am not sure why. I will be talking to them tomorrow! Is anybody interested in having a catalog party for Ecstacy Crafts? 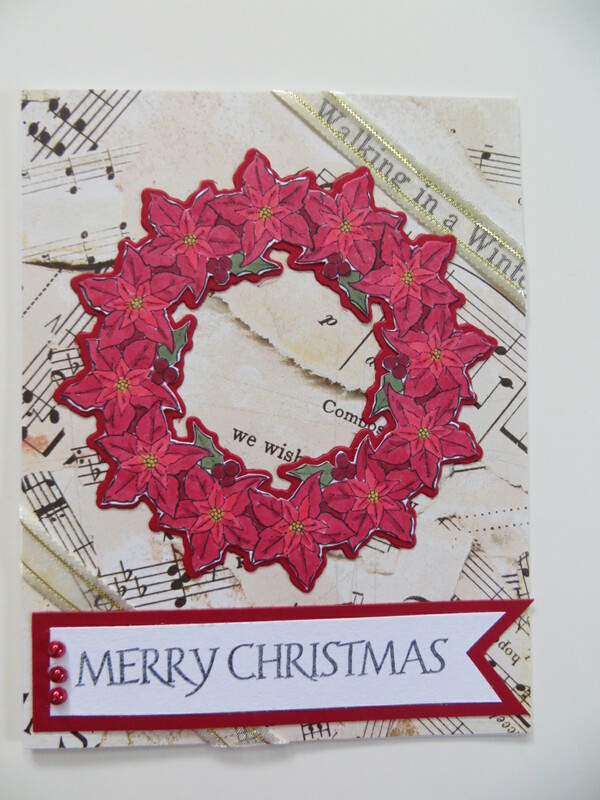 They carry Cheery Lynn dies, Marrianne Designs, Starform stickers and Nellie Snellen Stamps.Let me know. This Tuesday’s Demo will be done by Sue Freeman, 6:30pm. Sue always shows us something fabulous! Don’t miss it! We had a really great Make & Take last week! Thanks to all the ladies who attended! I think we all agree that Kevin is coming into his own as a card designer! Join us this Thursday to see what he comes up with this week! Thursday 1-6pm. $1 per card. 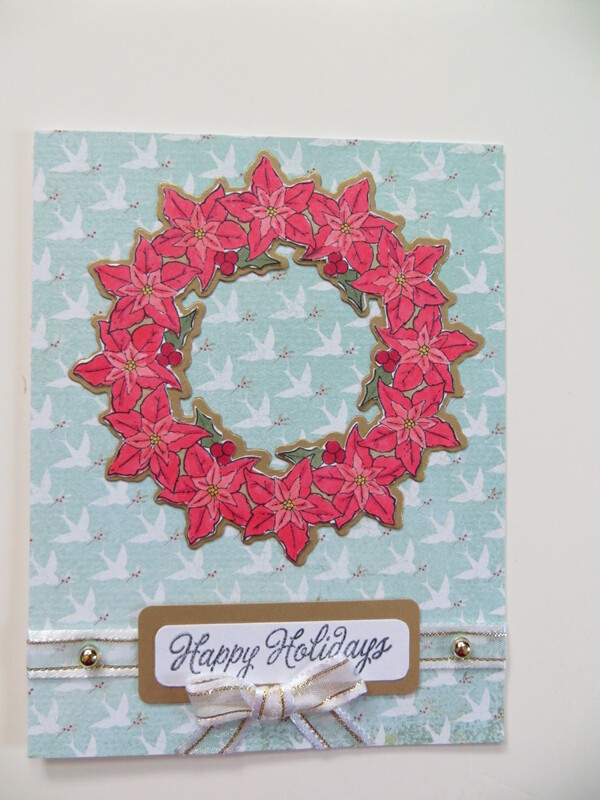 Thursday is Marla’s Inky Antic’s Angel cards class. The cards are on the board on the hall. They are adorable! The Fee is $15 If you have taken one of Marla’s classes, you know how much fun they are! Call today to register! 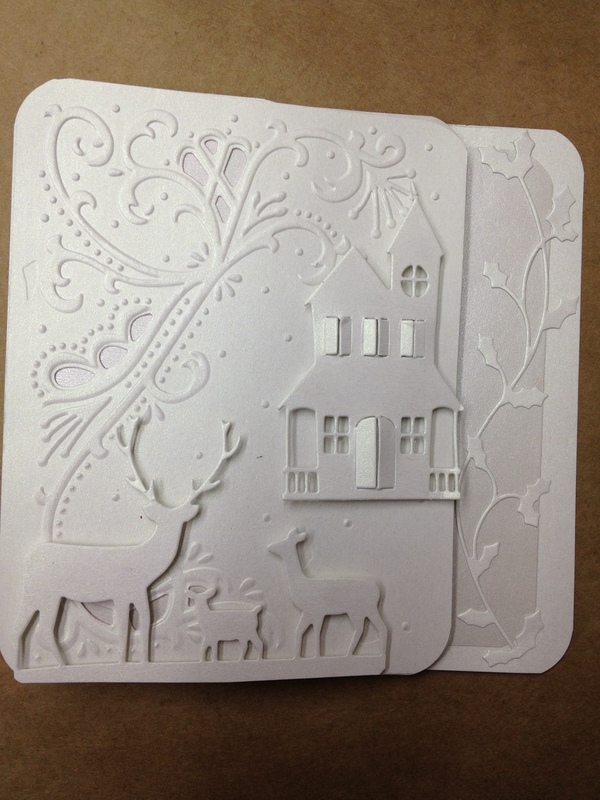 Saturday is Bev Mason’s Cricut class. This class is a little different since Bev will precut all the pieces for the cards on her Cricut. So, even if you don’t own a Cricut, you can come and make some great cards! This class will start at 12 noon. Cricut classes are normally $20 but I have dropped the Fee to $15 since it is really a card class more than a Cricut class. 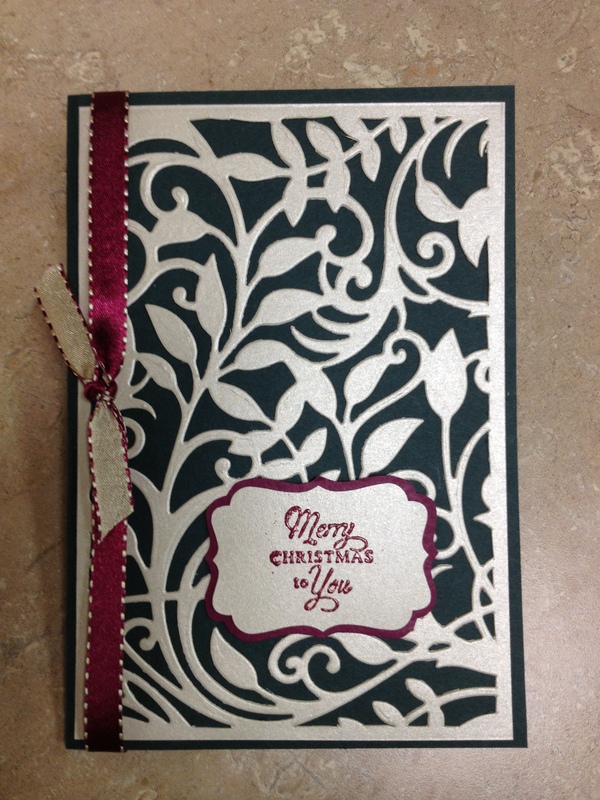 Sandy Booth has created some gorgeous Christmas cards for her Wednesday, November 14th class. The Fee is $15 and the class starts at 6:30pm Pictures below! A fourth card will be shown soon. 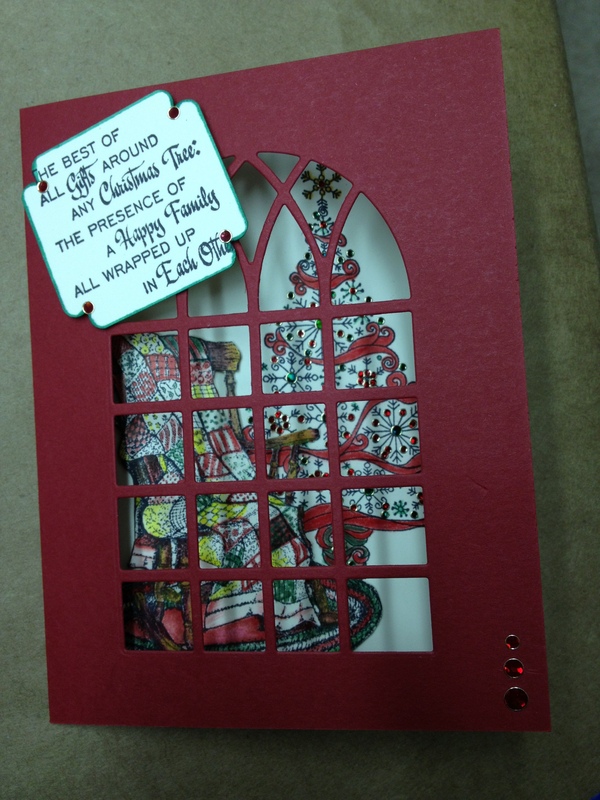 For those of you who wanted Stacy to teach a class on making the Christmas Box she showed us at her recent card classes, it has been scheduled for Thursday November 15th at 6pm. We need to have a full class for her to come, so if you are interested, please register as soon as you know you are going to attend. The fee will be $35. The sale (25% off) on the fall merchandise and colored dot sale (30%off) on selected Christmas stamps continues this week. Thanks to everyone who attended the Holiday Open House! It was really fun! 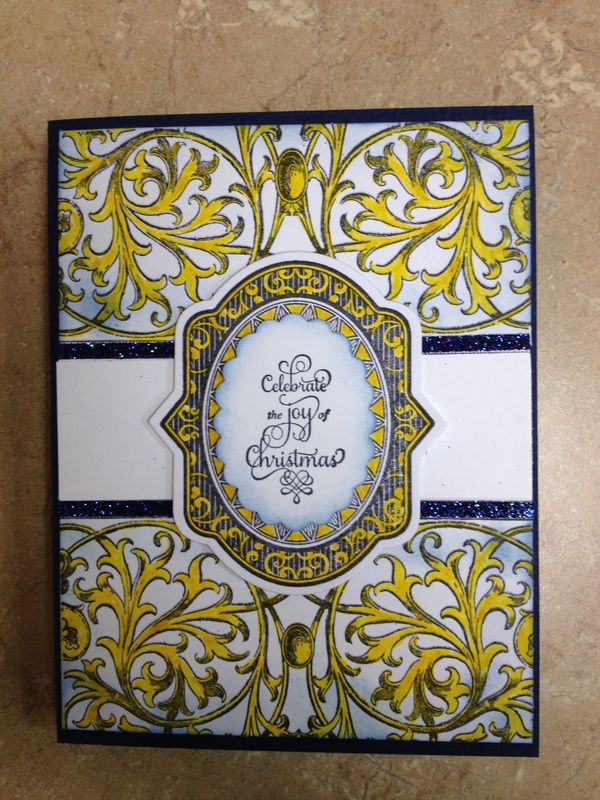 Congratulations to Linda Greer and Debbie Walker, winners of the card contest! Beautiful cards! You can see them on our web site. The colored dot sale will continue all week. 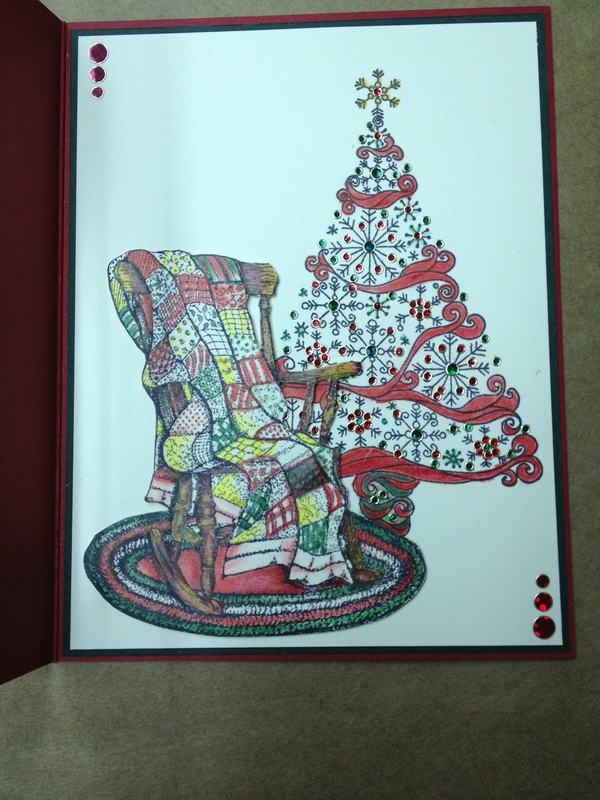 If you weren’t at the Holiday Open House, there is a large selection of Holiday stamps that are marked with colored dots that are 30% off. Most Fall merchandise is 25% off also. For those of you who placed orders at the Art Impressions catalog sale, the order is in! The Just Right special order items are also now in! Join us this Tuesday for a demo by Beverly Mason, it is always fun, informative, and free! It starts at 6:30pm in the classroom. Thursday we will be back to our usual Make & Take schedule 1-6pm. The cards are $1 each, limit 3 ea. Also Thursday, Oct 18th is Karen Schwochow’s Felt / die cards. Fee $15 The class starts at 6:30pm. Come make these uniquely beautiful cards! Saturday, the 19th of October, is Peggy Packer’s Page of the month class. Fee $20 The class starts at 10am and ends when we are finished! Everyone is welcome. It is a really fun time, I hope you can make it! Congratulations, Linda Greer and Debbie Walker! 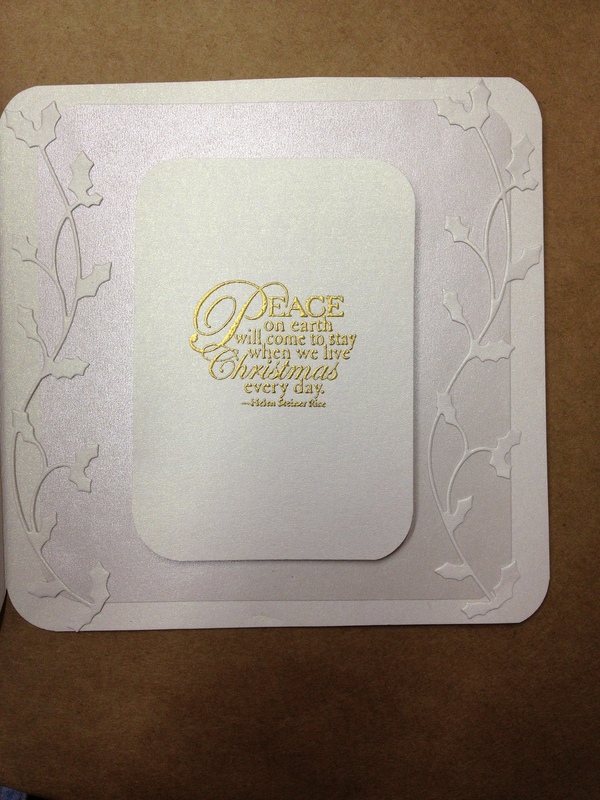 Winners of our Holiday Card Contest!